Are you ready for this weeks Updates? Welcome to the Weekly Rundown, week FIVE. This week, we've got an exciting preview for you and some important information regarding staff applications. Firstly, this week is the final week we'll be accepting staff applications until after the 2.1 goes live! We're doing this so we can smoothly transition the backend of UpBeat bit by bit to our new format. News reporter and DJ Applications can be found here. Moderator applications are currently closed. Altogether, we have 6 new faces to the team. We have 2 news reporters and 4 DJ's. If you own a website, retro or forums, you can send in an enquiry here. We are trying very hard to keep certain parts of the 2.1 a secret. So we're having to be very careful about what we show you! Box and Jack are both working hard on the new site coming to us on the 26th of May. If you haven't already, check out Jack's article on the 2.1 update! In other news, our affiliate Habsay have gone global (ish)! They now have an integrated client for Turkish players. Go check it out! If you are an UpBeat affiliate and would like to be featured in next week's Weekly Rundown, get in touch! 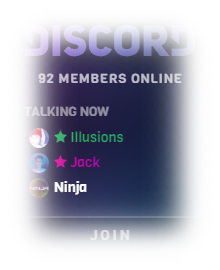 If you have any suggestions or feedback, please let me know on Discord!